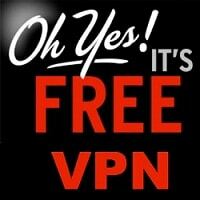 It is very rare to come across a free VPN that actually works. To be blunt: 99% of free services are not worth your time as they often sell your data, fail to keep your device secure and are also often too slow, making them bearly usable. At VPNAnalysis, we think you should be able to get a great VPN without paying for it. We have evaluated all of the free VPNs on the market and put together a list of the best free VPN services out there, so everyone can have access to a great VPN. Many free VPN services can’t give you what you need – which is excellent encryption, great privacy policies, decent speeds, no logs and enough monthly data to actually use the dang service. That being said, there are several free VPN services that will work. Here are a list of the best free VPN services out there. ProtonVPN is a free VPN service offered by the creators of ProtonMail, with 5 server locations and no data cap (although you will face some throttling). As such, ProtonVPN speeds come in at around 15 Mbit/s. This means if you’re looking for a VPN that excels in streaming HD content, you’ll have to look elsewhere. ProtonVPN does offer a premium service with additional features and higher speeds. With the premium speeds, you can reach up to 104 Mbit/s. 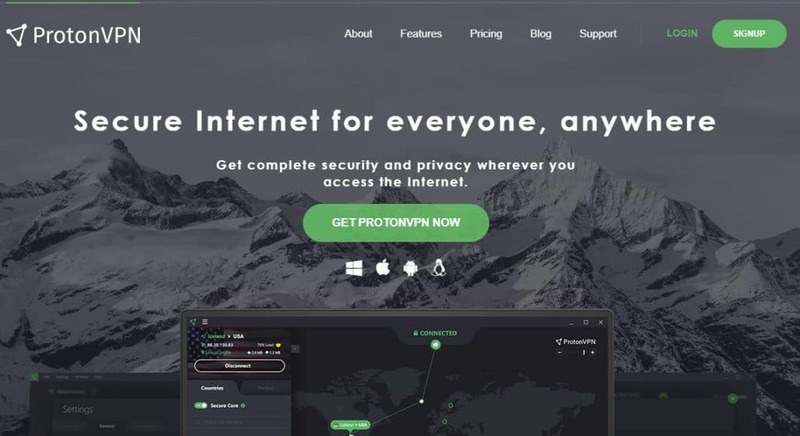 Ideally, ProtonVPN is perfect for unblocking websites or everyday online browsing. Hotspot Shield is a free VPN service with fast connections, a free Chrome extension with ad blocker and cookie blocker, fast speeds and an easy-to-use application. Hotspot Shield also offers plenty of additional features with their free service. This includes servers in 25 different countries, P2P allowance, five simultaneous connections and a multilingual app. The data limit for Hotspot Shield is 500 MB/day. Speeds can reach up to 40 Mbit/s. With Windscribe’s free service, you get 10 Gb/month without throttling. You can expect the server speeds to come in around 30/Mbits per second – which is perfect for HD steaming. And despite Windscribe being based in Canada, they exercise a strict no logs policy – meaning they have no information to turn over, should the time ever come. TunnelBear is yet another excellent free VPN service that offers an easy-to-use app with 20+ server locations, 5 simultaneous connections and 500/Mb per month. Despite TunnelBear being based in Canada, they do exercise a strict no logs policy that makes up for it. In fact, TunnelBear is so adamant on its enhanced security that it submitted its software for a third-party analysis last year. Security researchers found TunnelBear to be as reliable and secure as they advertise. The average speed you can expect to get with TunnelBear is 25 Mbit/s. This isn’t too bad for a free service – and 10x better than many other free VPN services out there. Hide.Me is a Malaysian VPN provider that offers an awesome free service. Users get access to three server locations – Singapore, Netherlands and Canada – with 2 GB per month of free use. Better yet, Hide.Me has excellent speeds that can reach up to 80 Mbit/second. A VPN or Virtual Private Network is a technology that provides you with security and privacy via encryption. A VPN at work will redirect your network traffic to the encrypted VPN server. When you’re connected to a VPN, your information is secure. You can’t be spied on. In other words: a VPN helps protect you from internet censorship and government/ISP surveillance. It’s not a secret that (most) paid VPNs will provide a better service than free VPNs. If you want a VPN that excels in everything, be prepared to pay a little bit. Fortunately, there are usually a variety of payment options to fit your budget. You can pay monthly, semi-annually and annually. That being said, the free VPNs listed in this article are excellent choices if you can’t fit a paid VPN service into your budget. They might not offer the best of the best, but they at least offer enough to be worth your time and they’re safe to use. Before you give into a free VPN service, I want you to consider this: you could purchase a VPN service that costs less than that $5 cup of coffee you get (probably more than) once a month. You could purchase a VPN 6-month subscription at the cost of the McDonald’s you bought for your family the night before. VPNs are not expensive. Take a look at our best cheap VPN services list for affordable VPNs. If you’re still adamant on a free service, make sure you at least take one of our recommendations. You’re better off with a limited, free VPN service than no VPN service at all. 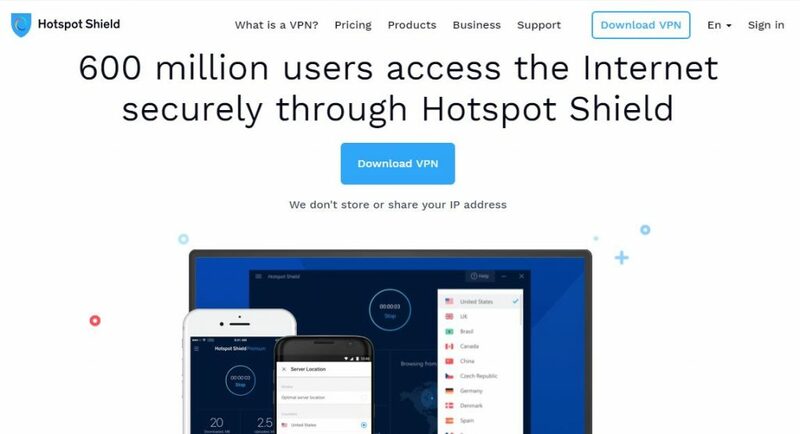 And remember – all of these VPNs are free so you can “trial and error” all you want. One of them is bound to give you what you want and need. Better spend some money for a charged VPN, Free VPN just gonna cost you more, maybe not your cash, but your time. We do have a saying called TIME IS MONEY.